Know Diabetes? Help Send a D-Kid to Camp. 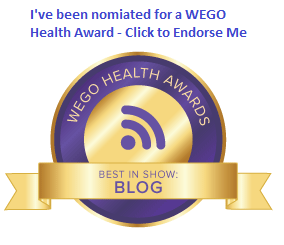 I saw a Tweet from Cherise Shockley this morning about the Do You Know Diabetes quiz. 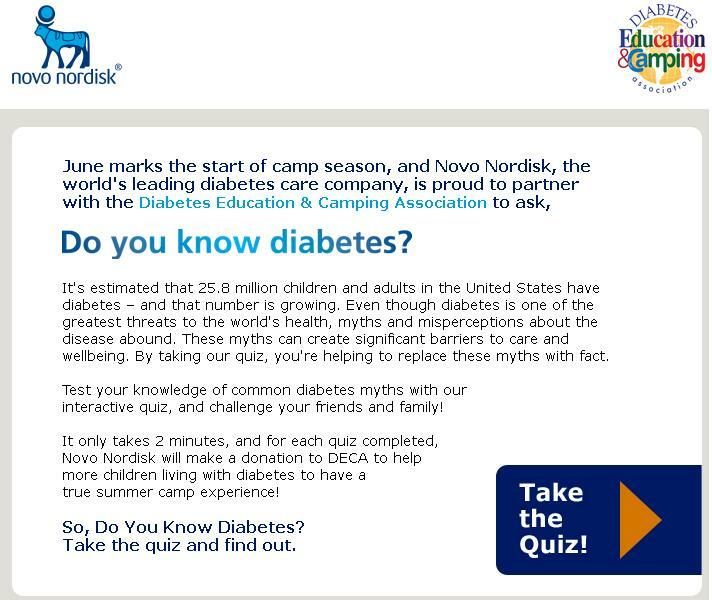 Novo Nordisk has partnered with the Diabetes Education and Camping Association to help send kids to D-Camp. Novo makes a donation for every completed quiz. So share this everywhere today, help bust some diabetes myths, and send some kids to camp this summer! « Medtronic and Dexcom in a good light. I actually met some of the folks at DECA while in Chicago this week. They’re doing some great work!